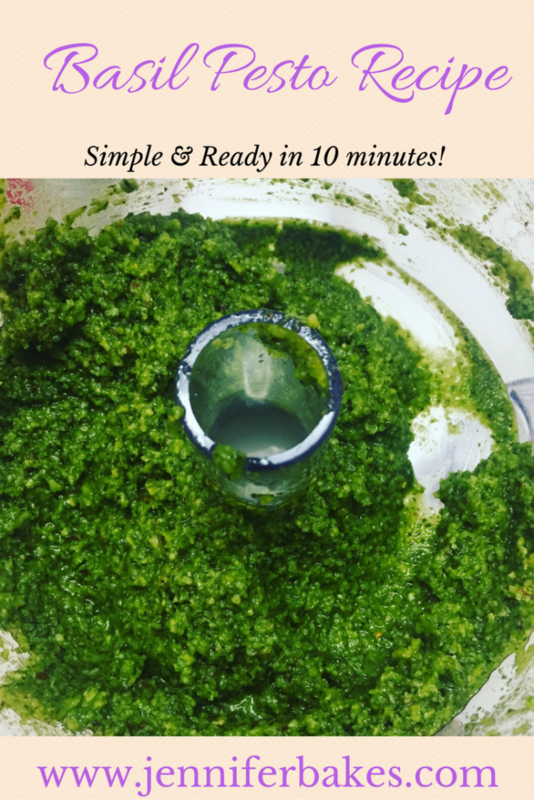 My Basil Pesto is exactly what y’all need to spice up your next pizza or to share with bread for an appetizer. 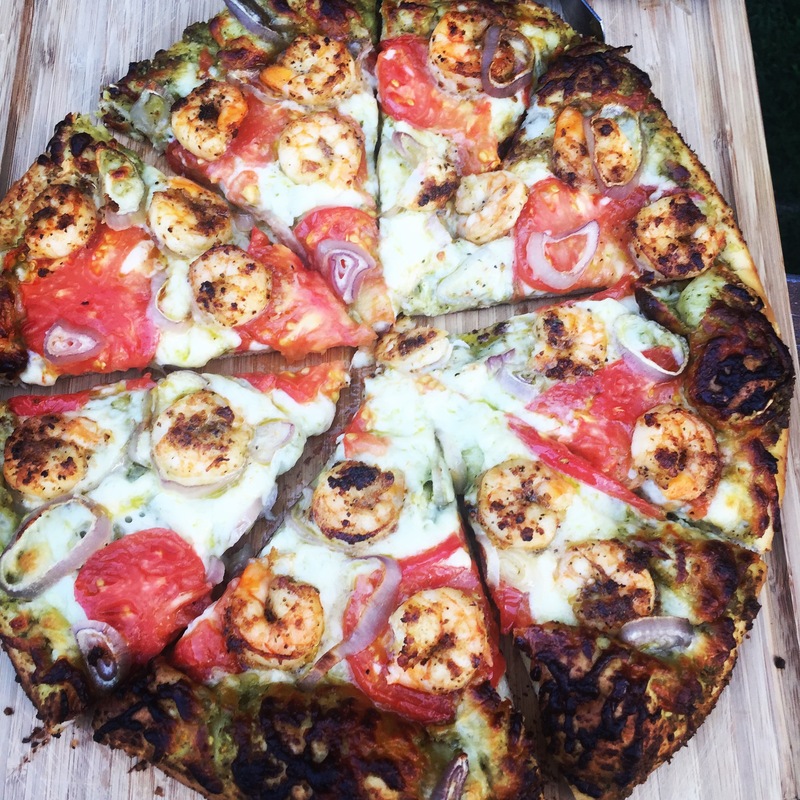 It’s easy, throws together in 10 minutes and tastes so fresh! It’s no secret that in the Summer our Basil plants tend to take off and we have to find reasons to keep it from wasting. WELL, this is perfect! It takes 3 packed cups of basil leaves! In un-related news, I can’t believe that I managed to have a long 4 day weekend with my job. I’ve slept until 10 the past two days which is unheard of for me since I entered mid thirty land. Even more great though is walking out in this hot weather and seeing my beautiful basil has sky rocketed. Immediately I thought, time to make pesto and share it with y’all! Before I jump into the recipe I have to share about a recent babysitting joy with my sweet nephew, AJ. I took him with me to Wal-mart because what kid doesn’t have fun in this store? I had several things to pick up and two of them being my go to cleaning products for the summer and especially cleaning up after him! This duo of products is Viva Paper Towels & Clorox Cleaning Spray AKA life savers for messes at JenniferBakes! I thought it was precious that AJ used the Viva Paper towels as a set of drums. 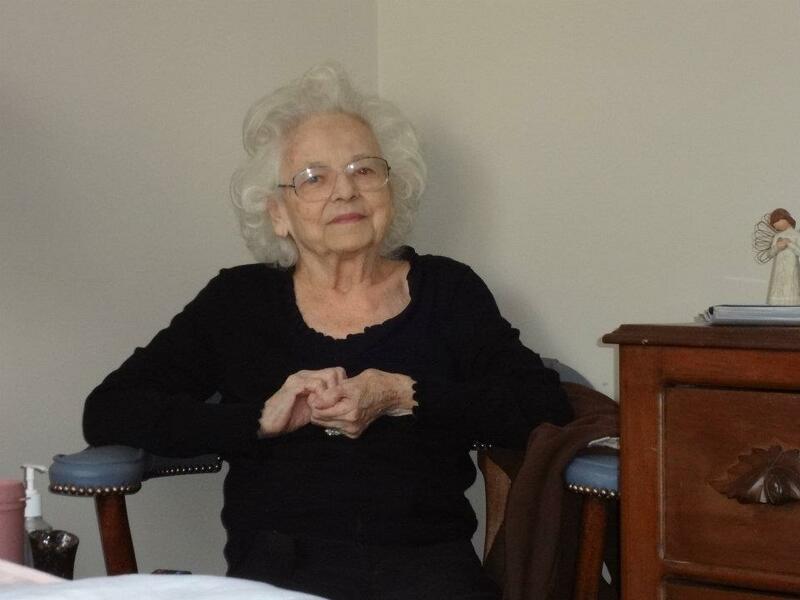 He was precious and loved the friendly Wal-mart associate that helped us. 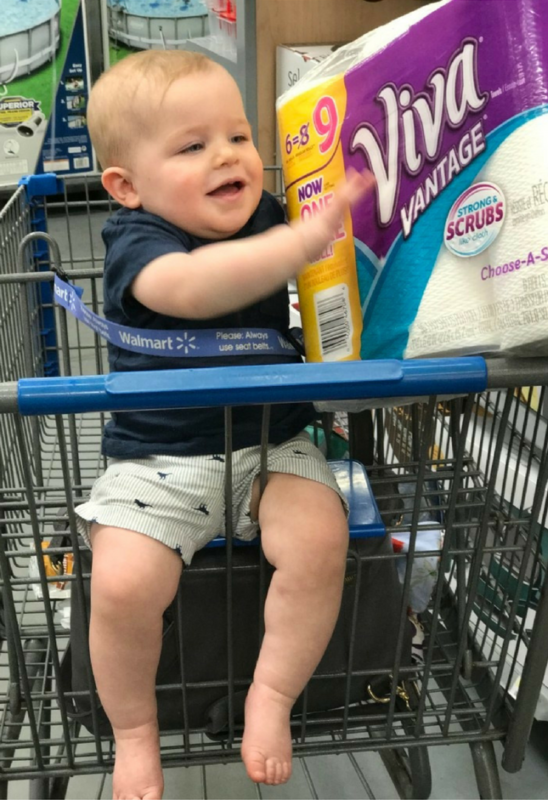 Right now at Walmart with Ibotta you can get a great deal on Viva Paper Towels and Clorox Cleaning Spray. I have been a fan of Viva Paper Towels for as long as I’ve been adulting and I was raised around and really trust the Clorox family. Find these in your local Wal-Mart ! They’re the only products you need for cleaning up any mess your kids make y’all! 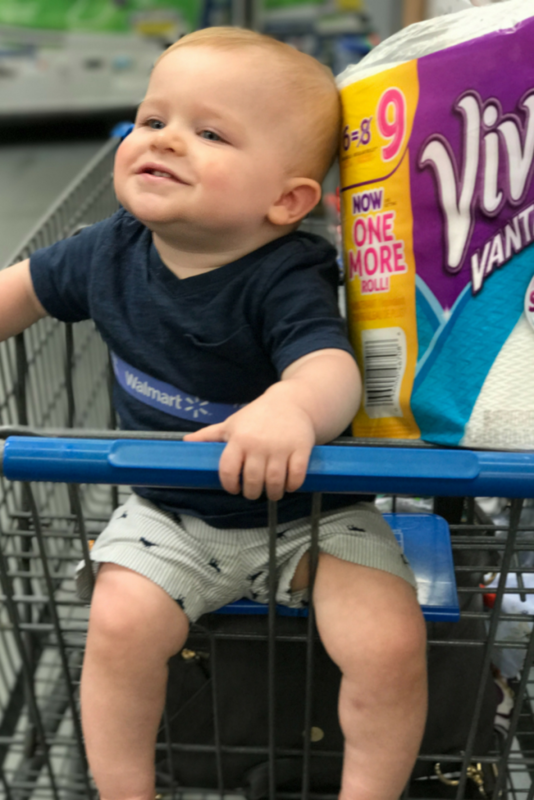 Starting 6/21 you can save $1.50 with Ibotta on top of Walmart’s low price for Viva Paper Towels AND And launching 7/5 you can save another $.75 off Clorox Cleaning Spray! Add that to the ease of online shopping and a FREE Pick up and I’d say you have no reason not to take advantage of this goodness! Finally, I have to also tell you there is a bundle offer right now at Wal-Mart to purchase both for just $8.00! Click this text to take advantage. (Sorry no Ibotta Can be stacked on top of this purchase) They kinda go together like peanut butter and jelly! This kid definitely left a mess for me to clean and Clorox Cleaning Spray and Viva Paper Towels were all I needed! 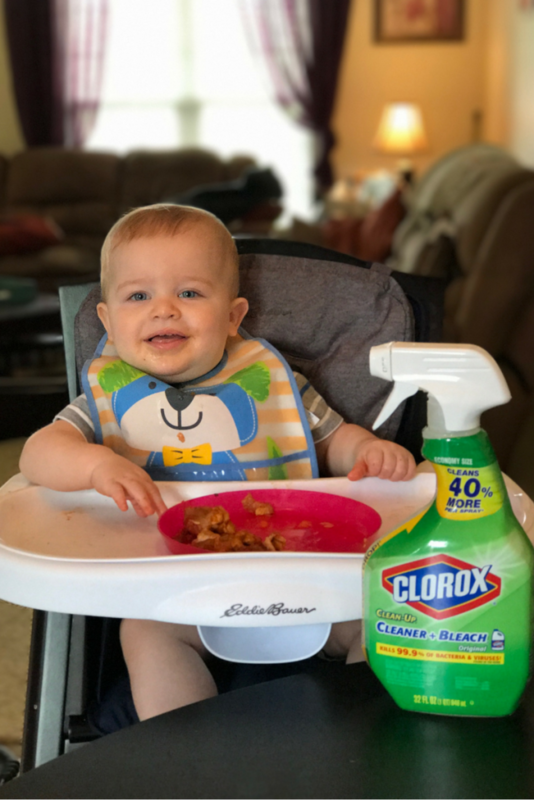 Did you know Clorox Spray cleans 99.9 % of all germs and bacteria? Crazy good! I invite you to join me in making clean up easier and utilizing Walmart to save on these products! They even offer ONLINE shopping now & they’ll deliver it right to your car! Oh, it’s for free btw! Are you locating your store online now? The link is below! So, this Summertime Pesto though, is dreamy and easy and ready in 10 minutes! It’s one of the few recipes that requires basil by the cup and also it’s a really fresh recipe to have this Summer! I should also add small jars of it make excellent gifts for people you love a lot! This is perfect for when your Basil starts to get out of control and you need a purpose for using it other than drying it which takes a long, long time. It’s also very versatile and you can use other main ingredients to accommodate what you may have if you do not have basil. 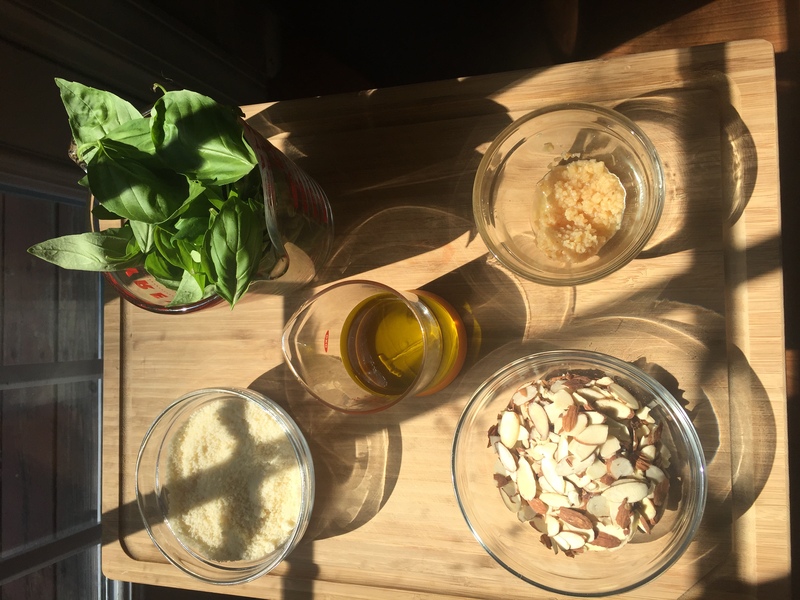 I love how this Basil Pesto throws together so simply! Add everything (except oil) to your food processor (or blender) and pulse until combined! Then you slowly add your olive oil and pulse some more until you see the consistency change and that’s it! You’ll literally see the crumbly mixture falling into a creamy spread as the oil is blending in. I also added some garlic chives I had in the garden for another flavor. Tada- all done- Basil Pesto. You can substitute for almonds: pine nuts, pistachios, pecans, walnuts maybe sunflower seeds. It’s great for bruschetta also! Just pour a tad olive oil into a plate and place pesto inside alone toasty bread and it’s a perfect treat along side any pasta dish. 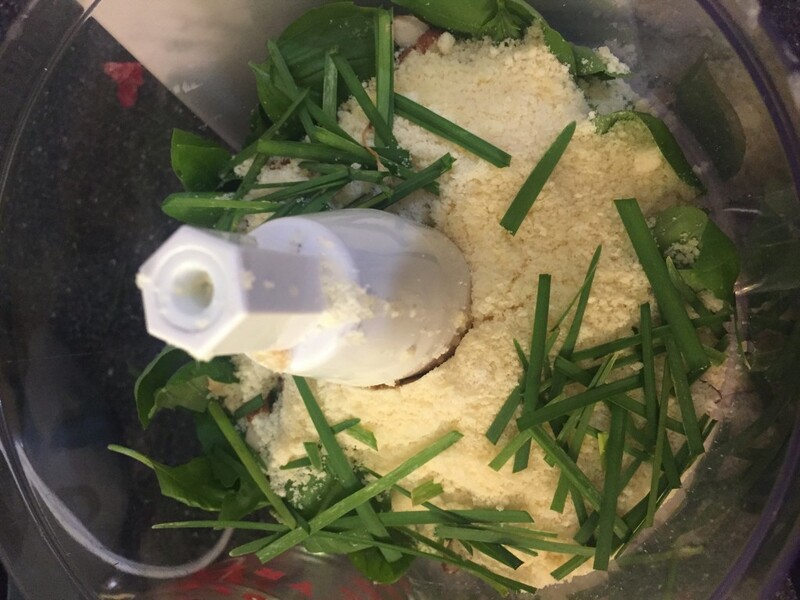 Add all ingredients except olive oil into food processor or blender. Pulse until you can see all ingredients are combined and nuts seem fine. Slowly while still mixing pour in your olive oil. Taste and add additional salt and pepper if needed! I used some of this Basil Pesto for my Shrimp & Pesto Pizza which is coming up later this week! This entry was posted in Easy, Pasta, recipes and tagged #4thofjuly, #blog, #breakfast, #brunch, #cake, #chocolate, #clorox, #cupcakes, #feedfeed, #food, #foodblogger, #foodie, #fourth, #goodness, #grace, #healthy, #homemade, #HUFFPOSTTASTE, #ibotta, #instagram, #jenniferbakes, #july4th, #meatlessmonday, #monday, #nomnomnom, #pesto, #pinterest, #thankful, #unleashthecleansquad, #vegetarian, #viva, #Vivapapertowels, #vivia, #vscocam, #walmart, #yum. Wow this looks delicious! I wonder if you could substitute something for the parmesan or just omit, as I’m allergic to dairy. Hey Wendy! I have substituted nutritional yeast before- it was pretty good! My basil is starting to get a little unruly, so I’ve been looking for good recipes. This pesto looks perfect! Hey Ali! Thank you! 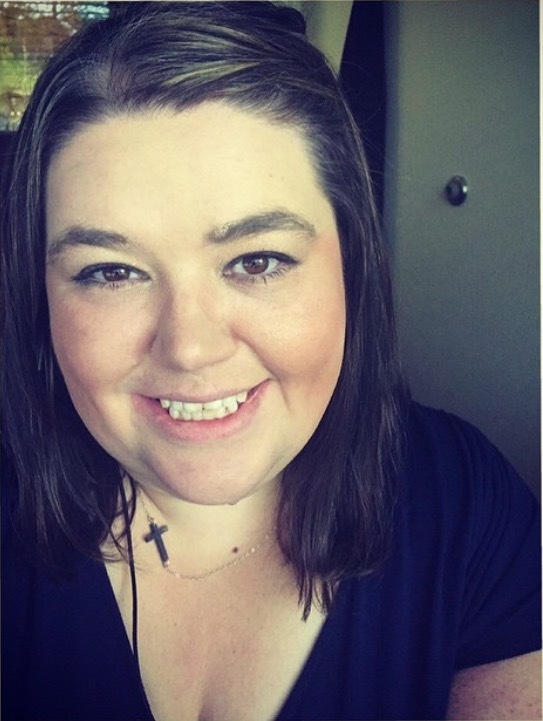 It’s so so good and really easy to throw together! It was the perfect solution to use my basil so I didn’t have to waste any! Just read and great rebate huh! your post! is adorable. I am keeping the pesto recipe for my next pizza day. Very interesting. The recipe is nice as well. Will try it soon. Thank you, Gerie!! Let me know when you make it! I love pesto, but it’s so expensive to buy at the store. Your recipe looks easy to make, so I will definitely try it. Pinned! Let me know when you try it, Kerry! Hi Jennifer! 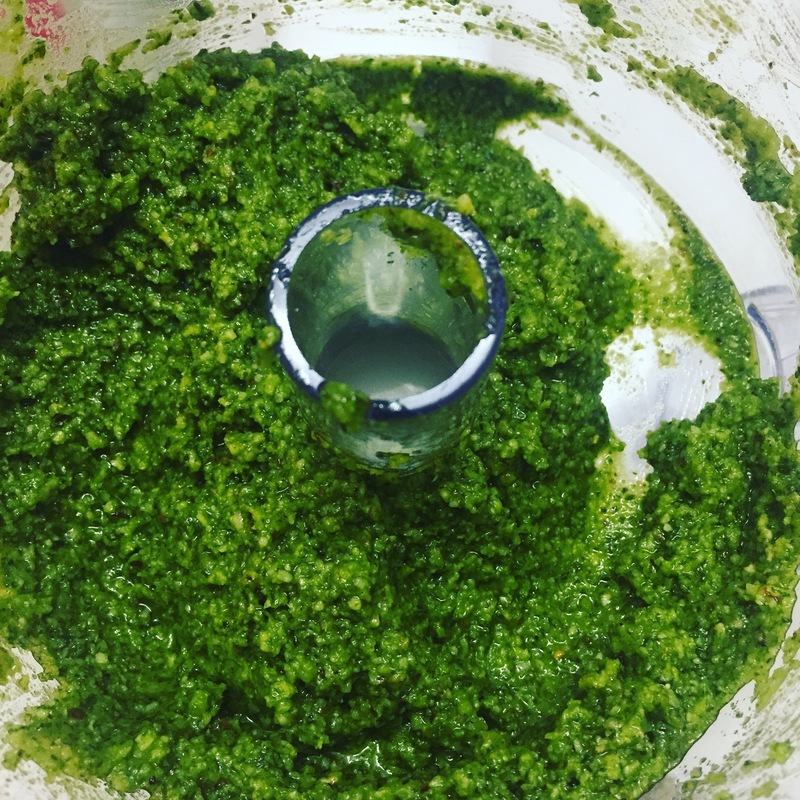 I made this Pesto yesterday and it is very good! I added some chopped onion also. Good stuff! I bet those onions were super yummy, Rebecca! Thanks for sharing!